For more than two years now we’ve been a part of the team of area directors that checks on fellow missionaries in Europe and the Middle East. That’s where we get our name, the EMT. No, we are not medically trained, but we are quick to act in emergency situations! We meet twice a year as a team to discuss the situations and needs of families that we support. 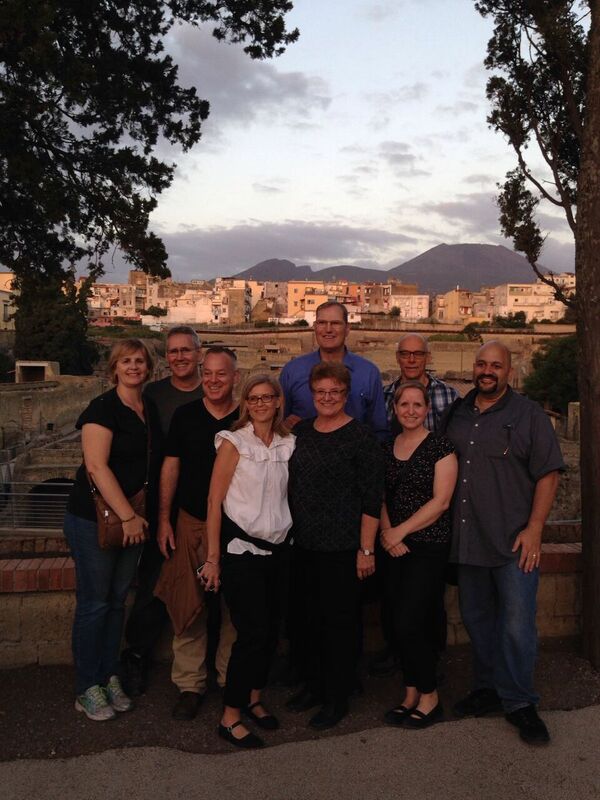 This time, because of a conference for WV missionaries that was previously scheduled near Naples, we met at the same hotel and got to spend one afternoon visiting the town called Herculaneum, which was destroyed when Pompeii was by Mt. Vesuvius’ blast. Here we are in front of the city, which dates back to Bible times. In the far background is the infamous Mt. Vesuvius. Log in | 54 queries. 0.506 seconds.